Fantasy Flight Games announces Sky Traders, an aerial commerce game. 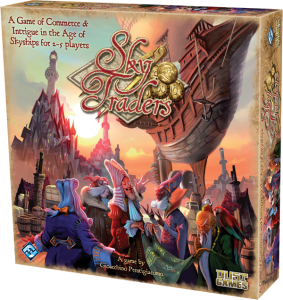 Fantasy Flight Games announces a new pick-up-and-deliver boardgame called Sky Traders. Players play merchants in floating ships receiving and delivering packages. It's slated for release in the second quarter of 2012.